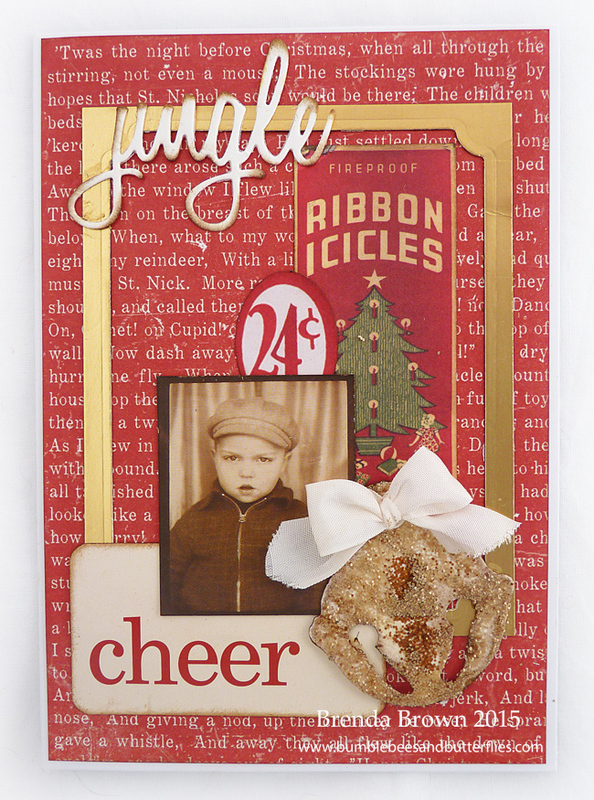 This card making series is really helping me have plenty of cards to send out early rather than late and in a rush. 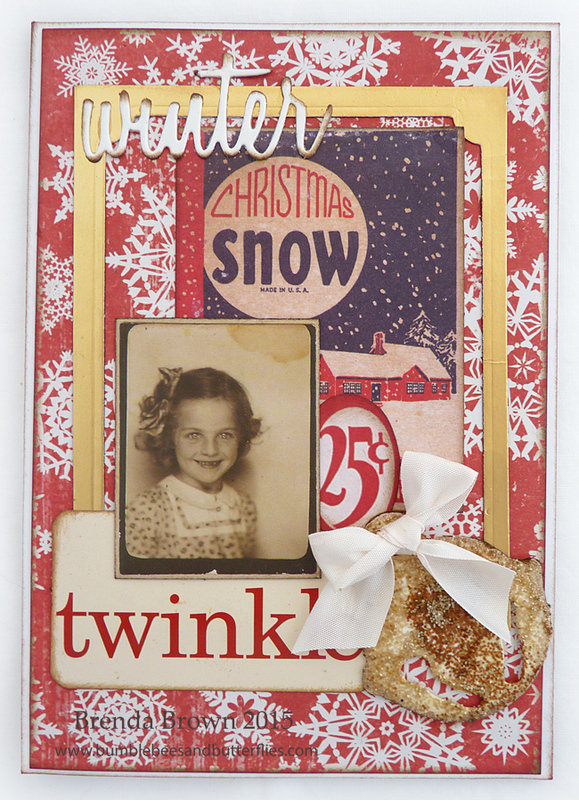 Today the focus is on the Tim Holtz ephemera pack and using the photo booth snaps to add an image and although they are not Christmassy pics they seem to fit well with the papers and ephemera pieces. Gather all the elements you want to put together. The fork? well I wanted little bows to add to the bells and this was the quickest way to do it using the american seam binding. Glitter on the bell gave the whole card some extra dimension and interest. 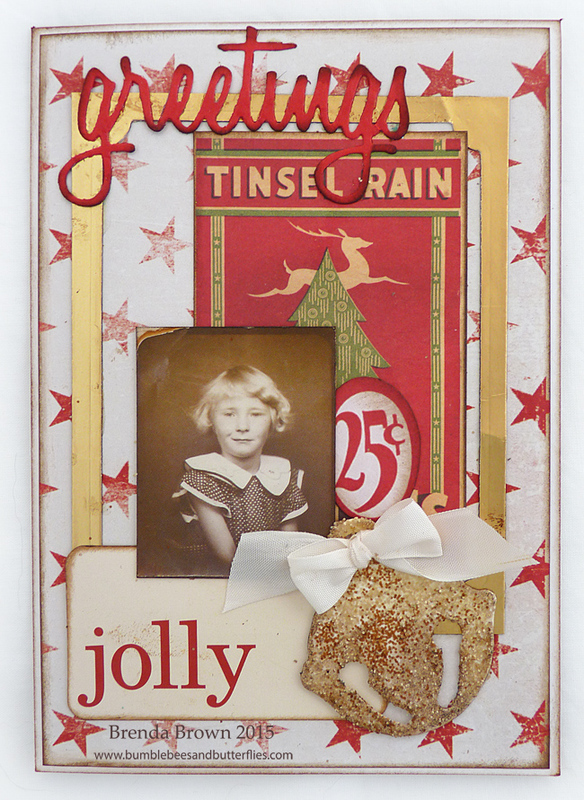 The gold frames came later when I was putting the cards together, they were left from a previous set of cards I made. Waste not want not eh? Don't you think these have a retro feel to them? Thanks for stopping by today. I hope you have your card making well in hand - I also have to buy cards as I seem to send so many out. However this year I am reducing the number and sending ecards to some friends and contributing some money to charity. Fantastic assortment of cards, Brenda! Love this little retro set, very clever! 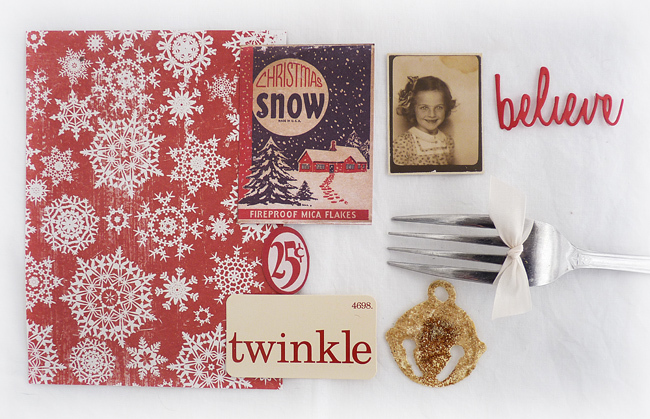 The jingle bells are the perfect finishing touch! Oh Brenda! I love your cards! The retrostyle are awesome! 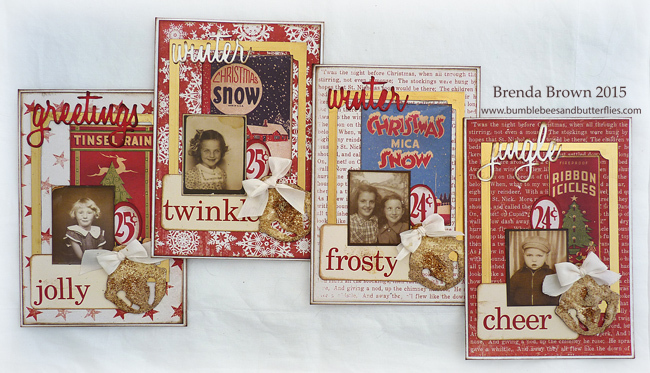 A great set of cards Brenda, love your retro theme. 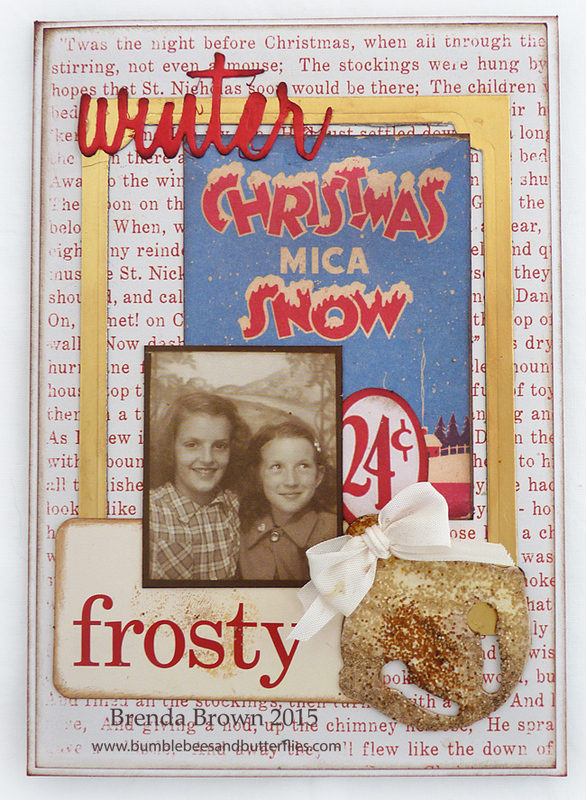 I have that paper and this was soooo fun seeing what you did with the the little snow, tinsel, icicles pieces Brenda. Love your little cards! j. 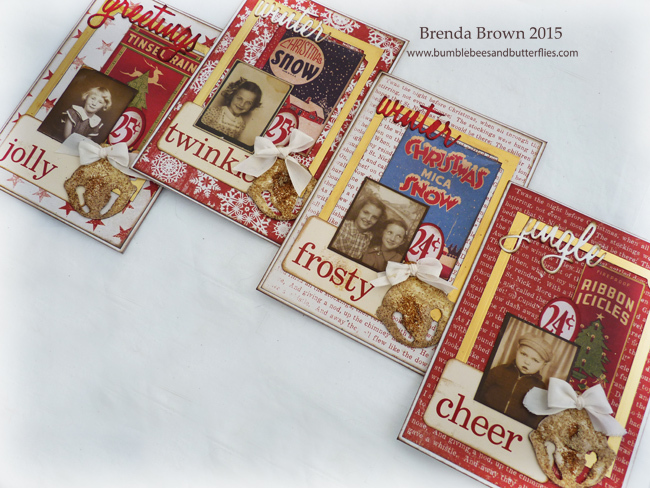 A wonderful selection of cards Brenda, the photos add to the fantastic, vintage nostalgic look. I love these cards. They are great and inspiring. You are right about the bell, it is gives a whole extra dimension to the card. These are absolutely charming, Brenda - perfect retro styling, and fabulous red and white detailing. 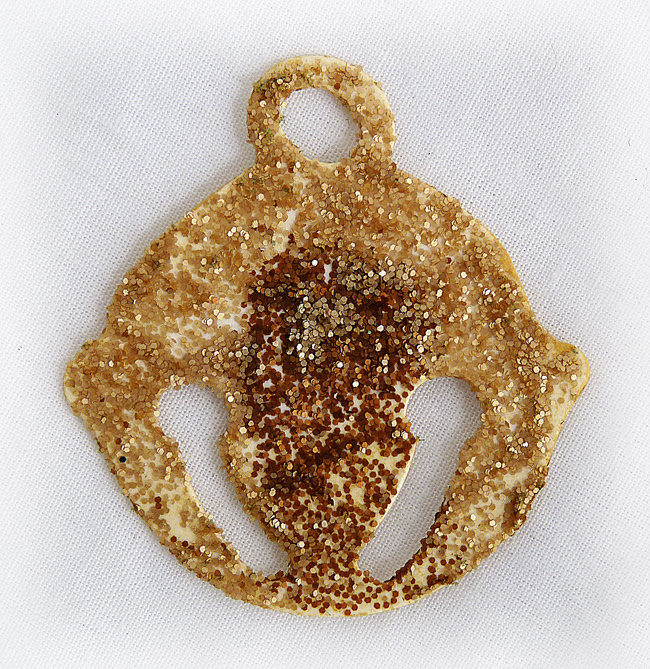 Love the glittery gold bells!